Interview: Tom Kiely (Patient Sixty-Seven) – Ouch That Hertz! 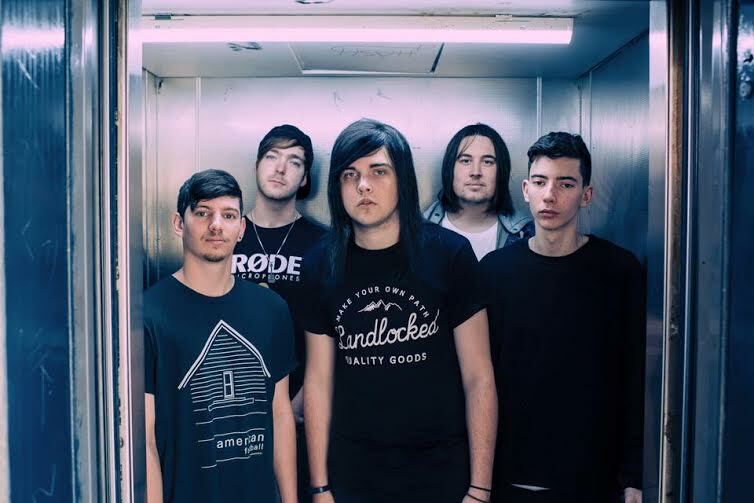 I recently had the great pleasure of speaking with Tom Kiely of the Perth-based rock/metal outfit Patient Sixty-Seven. For those of you unaware, Patient Sixty-Seven started in 2014 as a fun project between Tom and guitarist Dylan Bond- a project that, in 2-years’ time, would quickly turn into an actualized, cemented part of the Australian music scene. Tom and I spoke about a multitude of things: how to deal with the geographic isolation of Perth, perspectives and prospects of new material, working with Rigerous Recordings in Massachusetts, USA, and much, much more- including which of the band members would win or lose in a wrestling match with a saltwater croc! Ouch That Hertz! : So, first, tell us about yourself! Tom: Hey! Thank you so much for interviewing us and myself- we appreciate it. My name’s Tom, I do lead vocals in Patient Sixty-Seven – we’re a metal/rock act out of Perth, Australia. OTH! : So, Tom, how did you get started in vocal music? Was it just a crazy random happenstance that you fell into or did you always have a gut feeling that you were meant to be a vocalist? Tom: I’ve always been interested in singing and I haven’t really learnt an instrument to the point of being able to take it up properly- so it’s kind of been something I’ve just kept working on over time. It’s probably meant to be, given that I didn’t have many other options in how I could contribute- haha! OTH! : As I recall, in a previous interview you mentioned that Patient Sixty-Seven started in 2014 as more of a just-for-fun hobby/project between you and d Dylan. Fast-forward two years and you’ve become major players in the Aussie metal scene. Did you ever expect it to take off in the manner that it has and what’s it been like suddenly seeing your hobby turned into an actualized, cemented staple in the Perth scene? Tom: Thank you! There’s so many incredible bands in the Australian scene and in Perth, too. We’re definitely a long way off where we want to be and to be able to have built a small following in Perth is cool. We’re certainly not at a stage where we would compare ourselves to any of the larger bands in the scene- but we try to work our hardest and give ourselves every opportunity to be heard. OTH! : I have to say, I absolutely adore the Shutter Island reference in your band’s name. The unraveling of Teddy’s psychosis was absolutely marvelous and DiCaprio’s stellar depiction of it is what makes Shutter one of my favorite movies. I noticed that you lyrically tend to write about personal experiences- will a future release contain anything written from a cinematic, “Patient 67” point of view (will you ever mix in that theme)? Tom: That would be incredible and I’ve definitely given it some thought. I suppose the themes in the movie and the themes we cover in our music lyrically have lots of similarities. The name hold a lot in terms of what we want to reflect in our music, which is part of why I love it so much. It holds meaning to myself and [it] definitely represents the crux of our lyrical content. OTH! : Speaking of future releases, it’s been nearly 8 months since the release of your EP Imbalance. Can we expect anything new from you guys in 2016? Any new material? Or maybe some music videos? Tom: No doubt, we are recording in April and have new music very much in motion. OTH! : In a previous interview, you mentioned that Imbalance was very much a “back-and-forth” process in terms of writing the material. Will the same be true for future releases, or are you looking to amend that with a new approach to writing music? Tom: Definitely! The EP was written when the band had only 2 people in it. We now have a full lineup, so we’ll certainly be working hard to step our sound up in every aspect. Everyone contributes something, so I’m sure that’ll show in future releases. OTH! : I noticed that Imbalance was mastered by Bryce Kariger at Rigerous Recording. You’re based in Australia,so how did you come to find Rigerous in Massachusetts, USA? Will you be working with them again for any future releases or are you looking to work with a more locally-based studio? Tom: I’ve worked with Bryce before and he’s an amazing producer; we were able to send it to him to do the mastering work on it after we’d self-produced it. I’d love to have him mix future material- the fact that we mixed the EP ourselves was built on the fact that we weren’t sure what the band was looking to achieve at the time, so we probably took the easiest option. If I had my time again, I would’ve called someone in to take on the mixing duties instead of handling it ourselves. OTH! : While you’re lucky enough to be a part of such a great music scene, Perth is still relatively isolating in terms of location- it’s easy to get overlooked (especially in such a huge local scene). How do you overcome this geographic adversity? And, furthermore, what’s a fellow Perth-based act that goes unnoticed that everyone should check out? Tom: Honestly, Perth’s music community is really strong. It’s tight-knit and definitely a part of coming up through the local music scene. I guess being so isolated as well, you kind of have to rely on having a strong local presence. It’s just about working hard, I think: playing shows, making good connections in and outside of the things you’re doing to build a local following- doing your best to market yourself effectively online. It’s not easy. We are fans of a lot of local talent coming out of Perth. If you haven’t had the chance, check out Cloak & Dagger, Havoc, Moments, and We Run With Wolves. OTH! : So, this past January, you kicked off the year supporting Confession’s farewell tour. It’s always bittersweet to kick of the year with a farewell tour, especially for such an influential and ace band as Confession, but I’m sure it was one hell of a banger! What was it like sharing the stage one last time with Perth’s heavyweight metal heroes? Tom: We had a blast playing with them. We jumped on their final Perth AA show and it was great to be able to farewell them. OTH! : As sad as it is that Confession is now defunct, it also opens up a new “carpe diem” opportunity for other emerging bands. Now appears to be the time for Patient Sixty-Seven to rise to the occasion and take the reins of the Perth scene. Is the thought or realization of that ever daunting to you? Or is it just one giant adrenaline rush? Tom: I suppose we’re lucky because we have a lot of talent immersing Perth’s local scene. There’s some huge bands that I think will break into the national spotlight soon. We’ll keep working hard on new material and we’ll see where it takes us. We don’t want to get ahead of ourselves and, as I say, we’re very thankful that the scene has plenty of incredible bands that are stepping it up! OTH! : Alright, Tom, I always like to end my interviews with something a bit more ridiculous. Let’s say you and the rest of the Patient Sixty-Seven boys decide to have a wrestling contest with a saltwater croc. Which one of you would emerge victorious and who would likely be the first to die trying? Tom: Our guitarist, Dylan, would probably go first haha. But if not I’d be in the mix, too! Our bassist, Jarryd, is burly enough to take it down, I think, haha! Thanks for taking the time to speak with me, Tom! Before I let you go, is there anything else you’d like to say? Tom: Thank you to everyone for your incredible support, and thanks for taking the time to interview us! Previous Entry FERO LUX Release Sophomore LP ‘No Rest’ via Iron Young Records, Stream it in Full on Soundcloud!